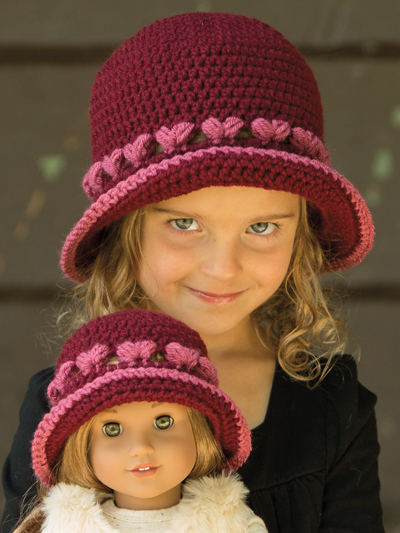 Make this sweet brimmed hat for a special young lady and a matching hat for her doll! 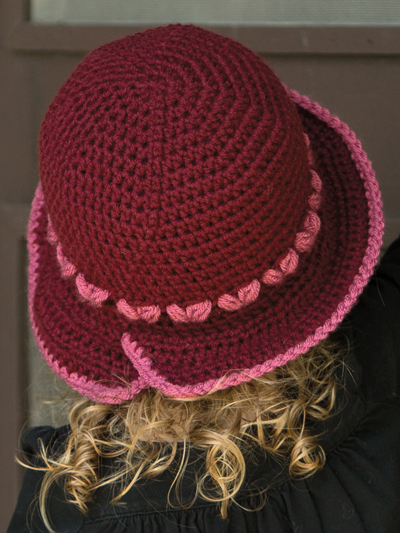 Trimmed in a puff stitch heart design, this adorable hat is made using worsted-weight yarn and a size H/8/5mm crochet hook. 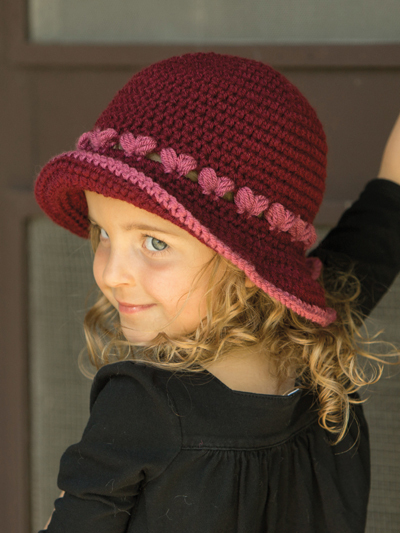 Pattern includes written instructions and step-by-step photos for the puff stitch heart. Size: 18" doll (6 to 12 months, 1 to 3 years, 3 to 6 years, 6 to 12 years, teen to adult). Absolutely adorable! 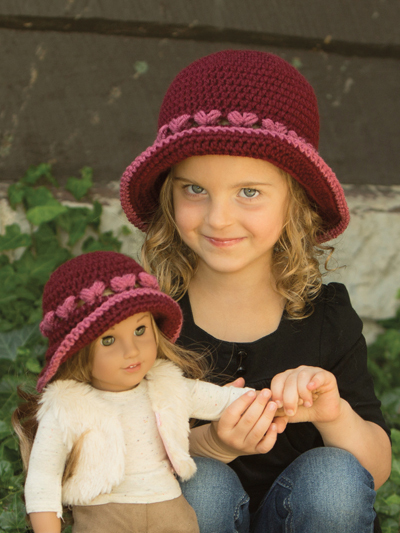 I made 3 matching hats, one for my daughter, granddaughter and my granddaughter's AG doll. Used Red Heart's "With Love." The texture is velvety soft and works up nicely!